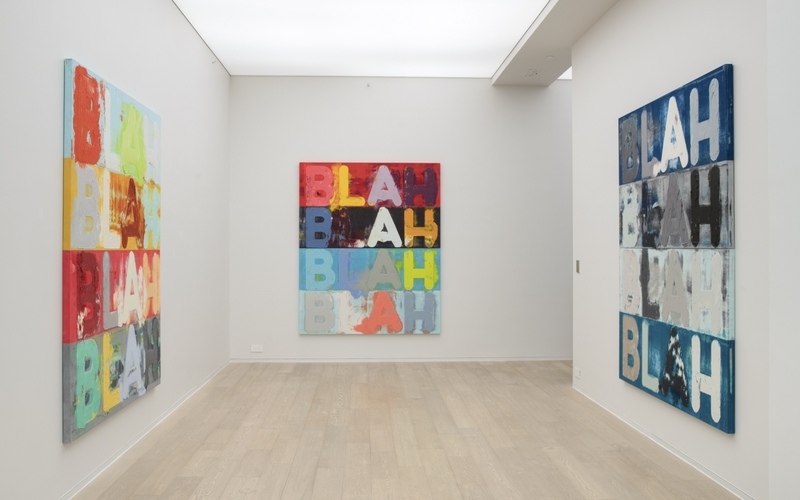 Simon Lee Gallery is proud to present the first solo exhibition in Hong Kong of American artist Mel Bochner. 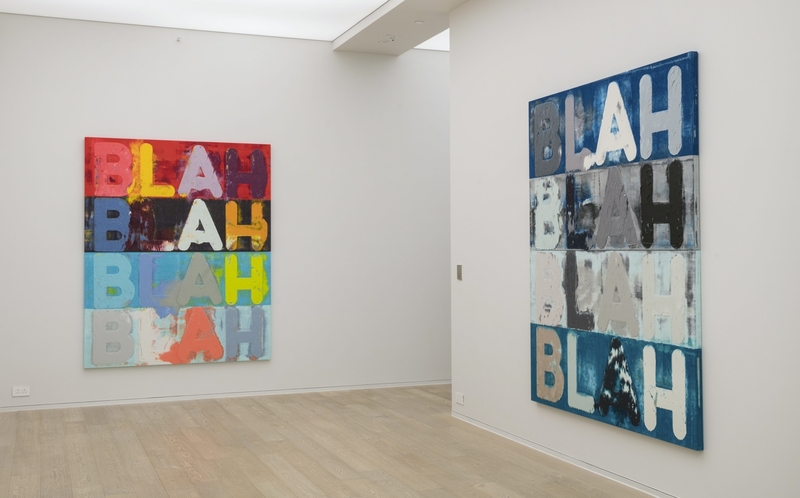 For some 50 years, Mel Bochner has explored the intersections of linguistic and visual representation. 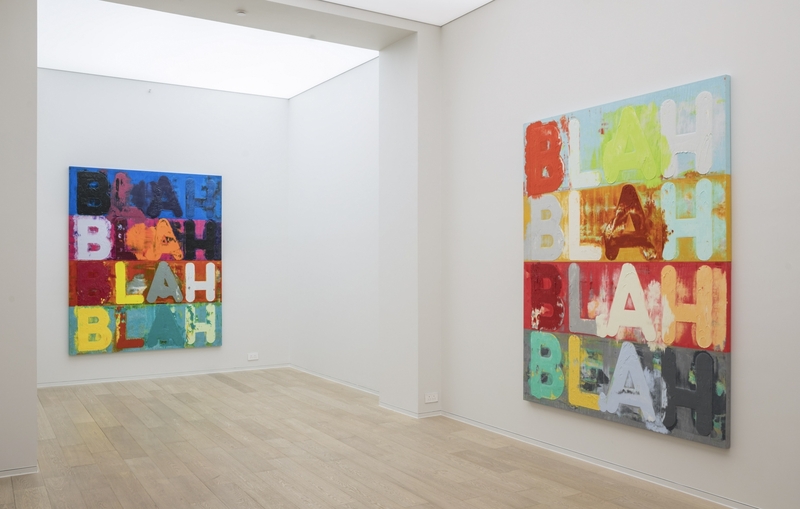 As a leading figure of conceptual and post-minimal art movements during the 1960s, Bochner experimented in complicating the interface between reading and seeing. Emerging at a time when painting was increasingly discussed as outmoded, Bochner became part of a generation of artists, including Eva Hesse, Donald Judd, and Robert Smithson, who were looking at ways of breaking with abstract expressionism and traditional compositional devices. Investigating philosophical and mathematical theories, Bochner examined the conventions, codes, and grammars we routinely use to grasp the external world, playing with cognitive strategies of counting, measuring, and ordering, using rationalising systems such as numbers, measurements and definitions to explore the irrational nature of being. 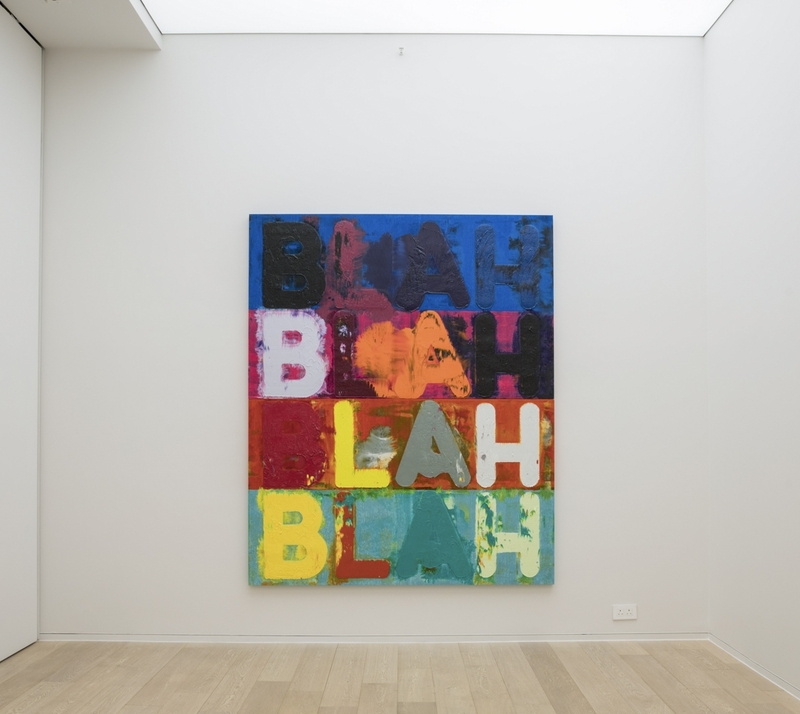 Confronting the ideologies and hidden agendas of language, Bochner’s ‘Thesaurus’ paintings contain groups of synonyms, often starting with the simplest related words and devolving to vulgar phrases and colloquialisms. The lushly painted text on velvet is hand-filled letter by letter with pure oil paint, sometimes up to a pound per letter in an engraved printing matrix. The velvet is then laid on the printing plate and subjected to 750 tons of vertical pressure in a hydraulic press. The tactile surface of vividly colored letters bleed and marbleize together against an often equally chromatic background. A linguistic, optical and social puzzle, these phenomenologically elaborate works are further complicated by word chains rich with personal and psychological attributes. 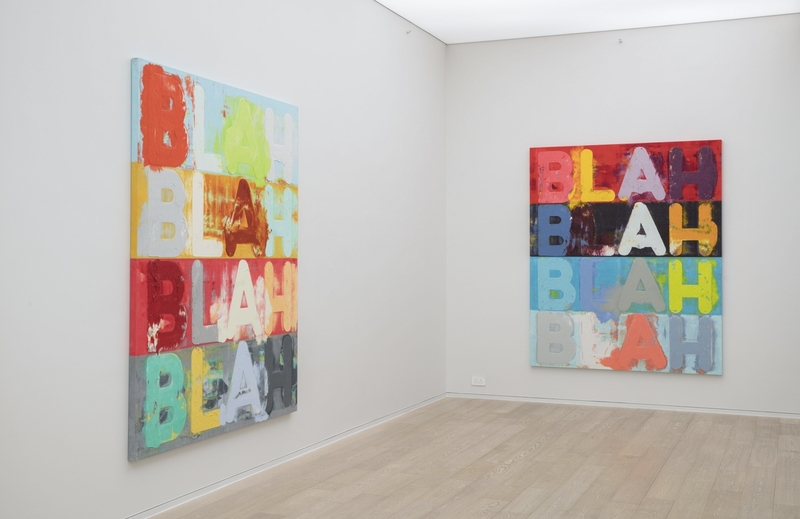 Perhaps none is more astute at illustrating the assumptions and limits of language than the iconic “Blah, blah, blah”, the seductive physical abstraction of the paintings matched by the humorous emphasis of a repeated, improvisational refrain that insinuates talking nonsense, or allusion to something so familiar it requires no articulation. 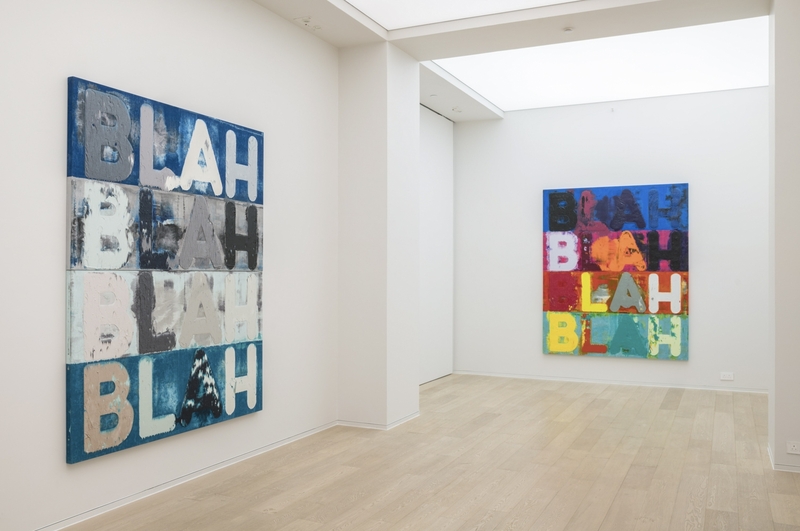 Questioning systems of representation, both visual and verbal, Bochner’s painterly riffing on words and meanings in countless permutations engage with the possibilities of language as image, medium, and content, as well as the disintegration of vocabularies within endless perceptual metaphors. The sequences and repetition create the architecture for a philosophical process in which the viewer must negotiate between the assertive materiality and vibrancy of the paint and color, and the potential conceptual meanings of the playful linguistics.